and she was very, very sad and lonely. So she sang to keep herself sane. 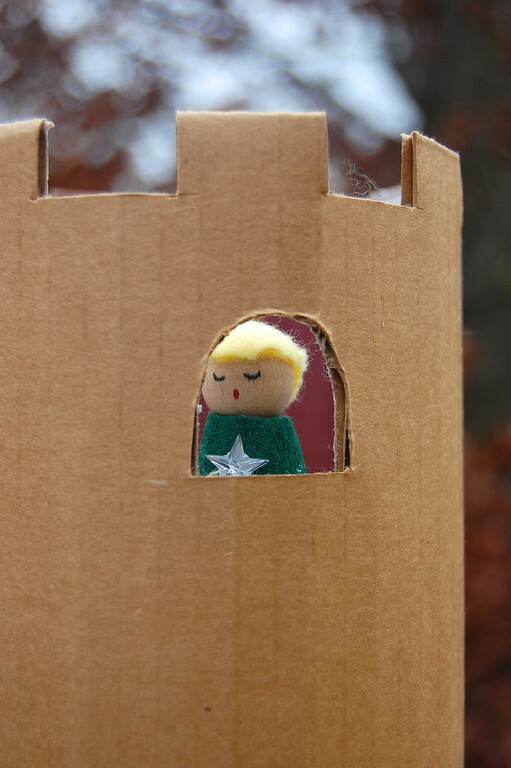 by her tower and he heard her sing. he knew exactly how to get to where she was. Which disappointed the lovely maiden somewhat. and let him in by the front door. I love cardboard. I love it so much more than fabric. break from cardboard (which is never). 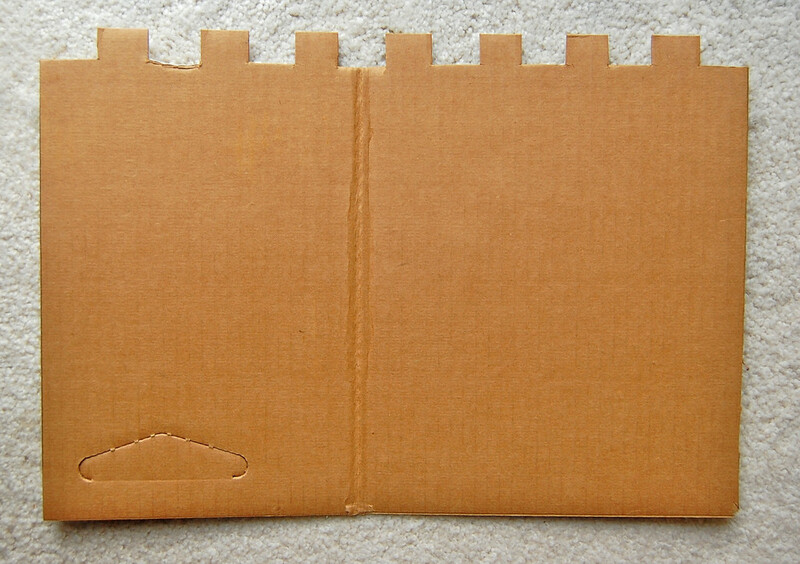 My favorite part of any kids' party is the cardboard. the cardboard is the real thing. There is no party without the cardboard. over the lone Prince guy and made up their own stories. them here so you can make them too. because they will not want to share. 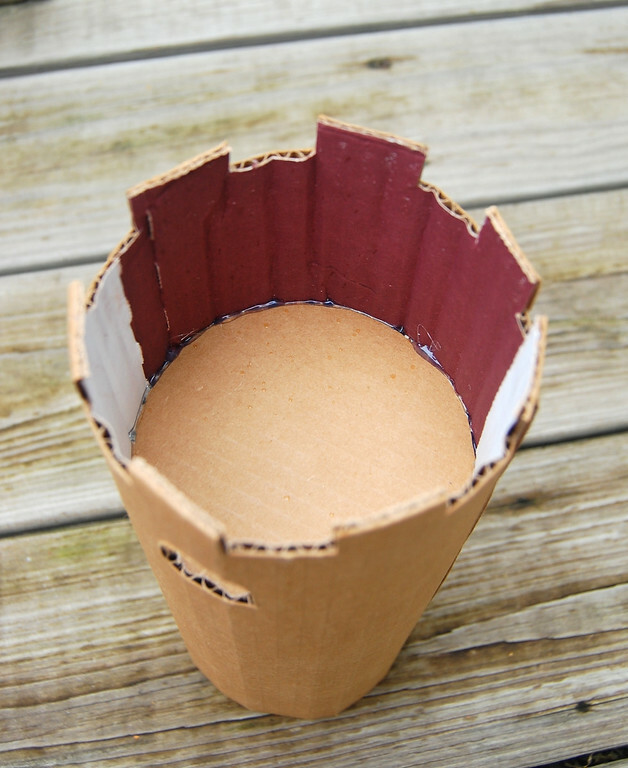 Cut a circle out of cardboard (we used corrugated cardboard). Our circle was made by tracing around a random coaster. Measure the circumference of the circle. 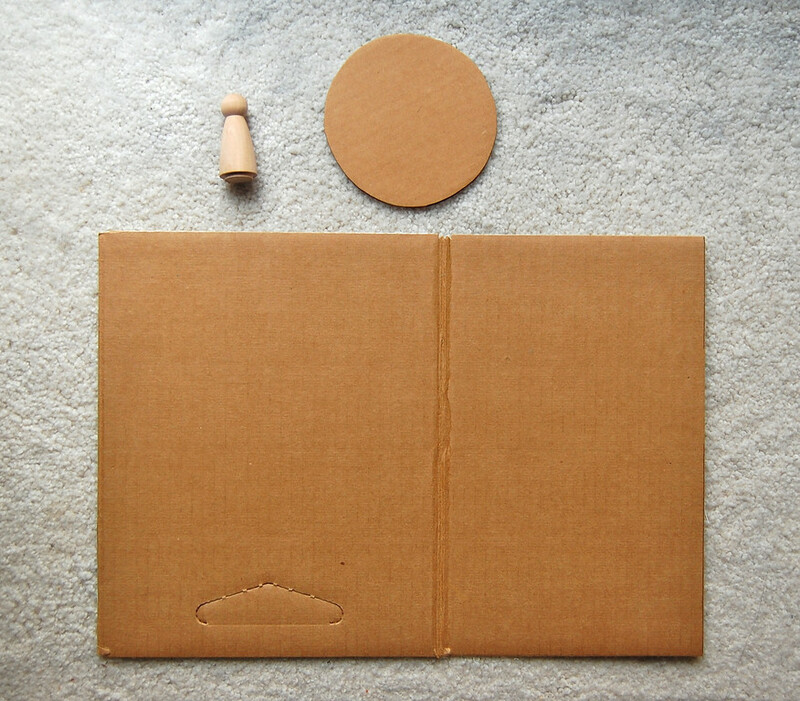 Cut out a rectangle of cardboard whose width is the circle's circumference plus one inch for overlap. The height of the rectangle is whatever height you want the tower to be. 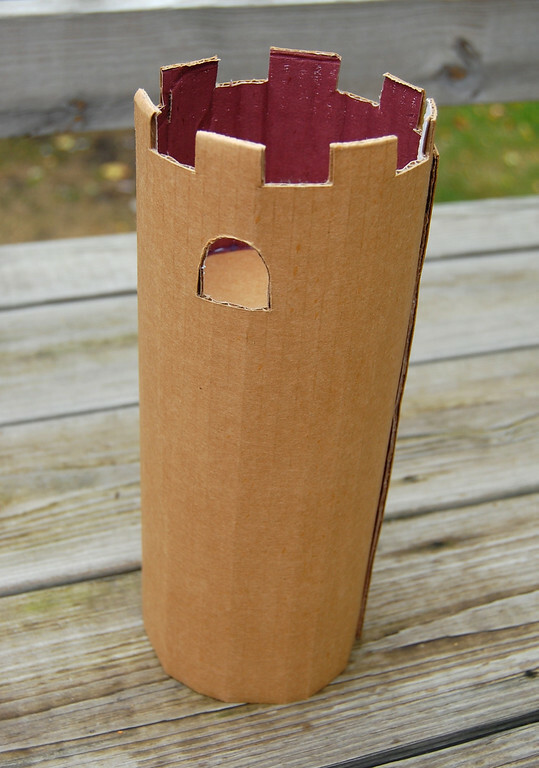 Important: the ridges/spines of the cardboard should run parallel to the height of the tower, so that when you curve the rectangle to form the cylinder for the tower, it curves easily. 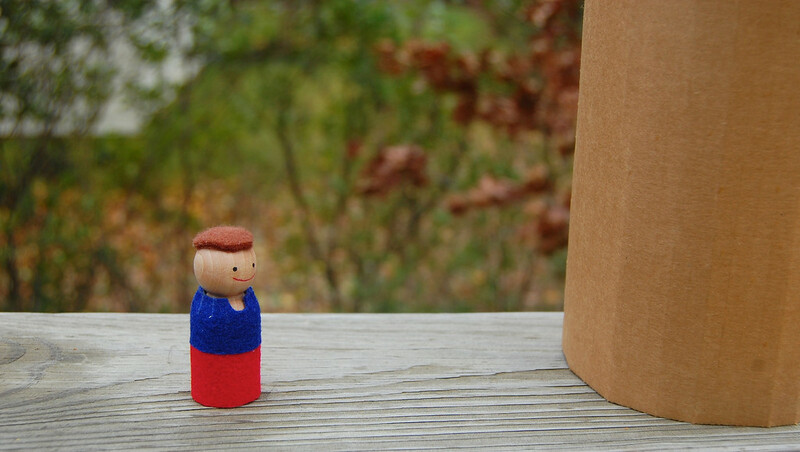 One of the upcoming photos illustrates this further. 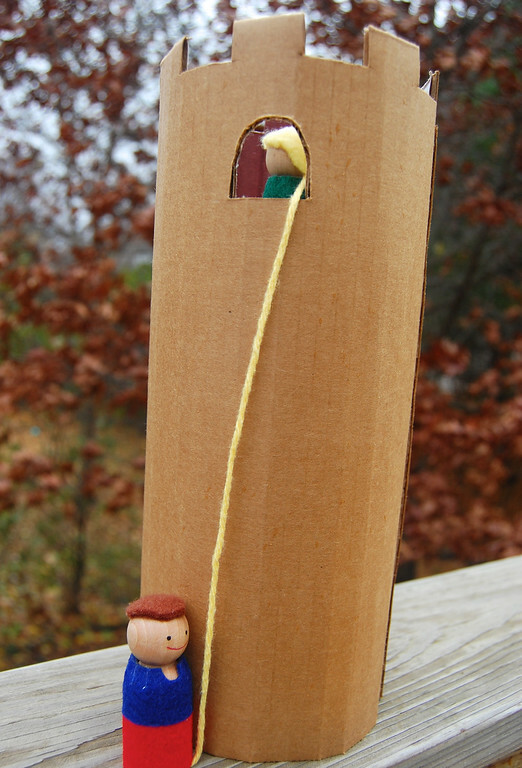 On the WRONG side of the cardboard, position the peg doll at the height you want it to be. Draw a window at face level. 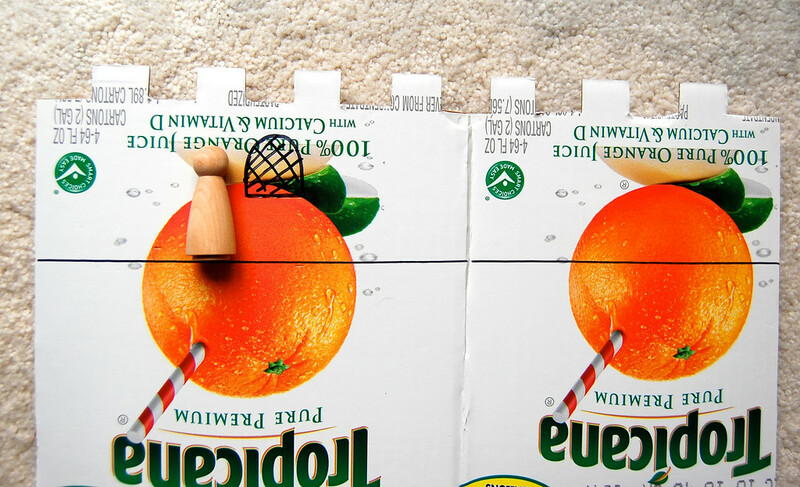 Also draw a horizontal line for the position of the floor the doll will stand on. Curve the rectangle into a cylinder. 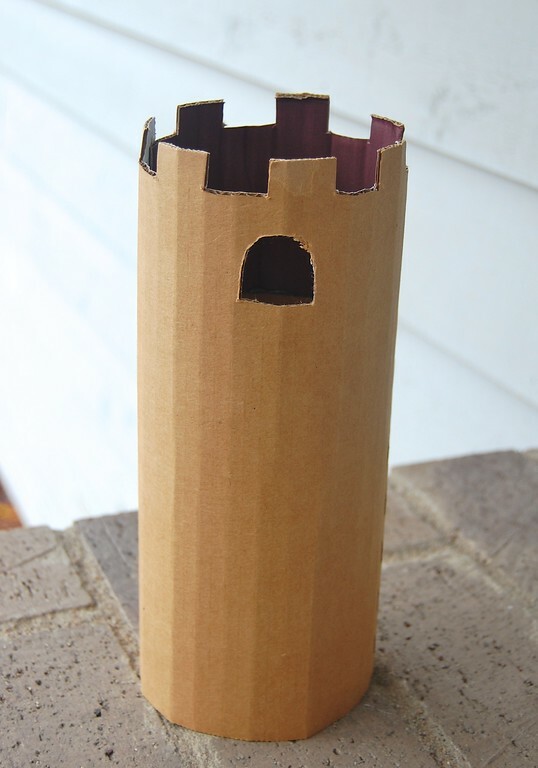 Notice the ridges/spines of the corrugated cardboard (if you cut your rectangle in the correct orientation) running parallel to the height of the tower. 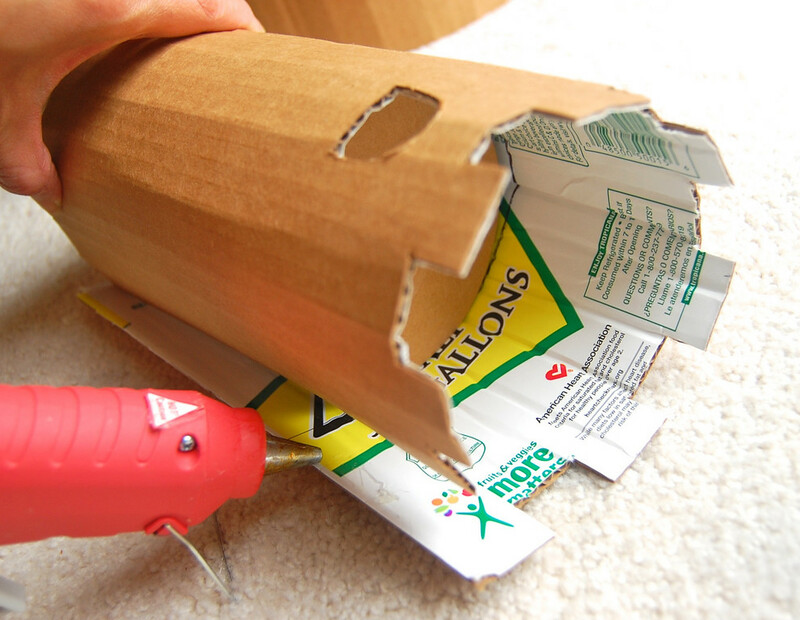 Heat up your glue gun. You're going to be applying a thick line of glue all along that floor line you drew in Step 4, and rolling the wall onto the circular floor. 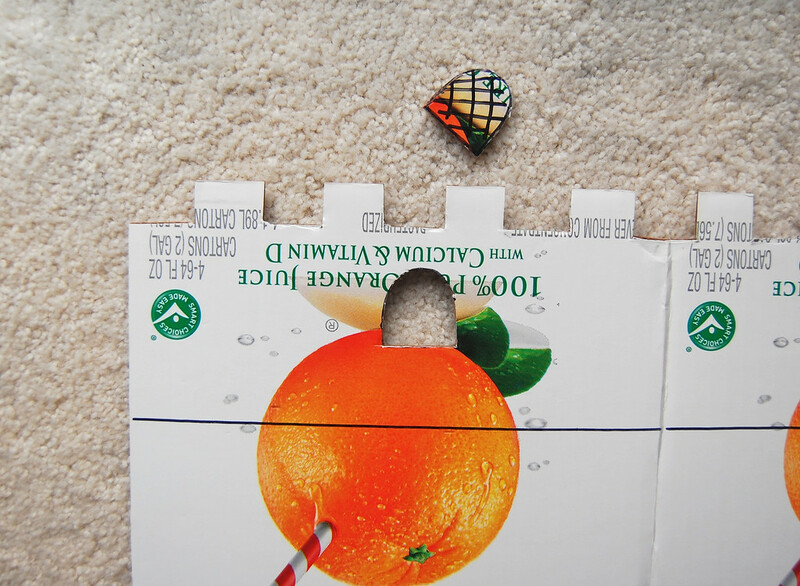 Begin at one side of the wall, apply about 2-3" of glue along the floor line and press the edge of the circle onto it. As the glue dries, continue applying more glue along the floor line and rolling the circle onto it. 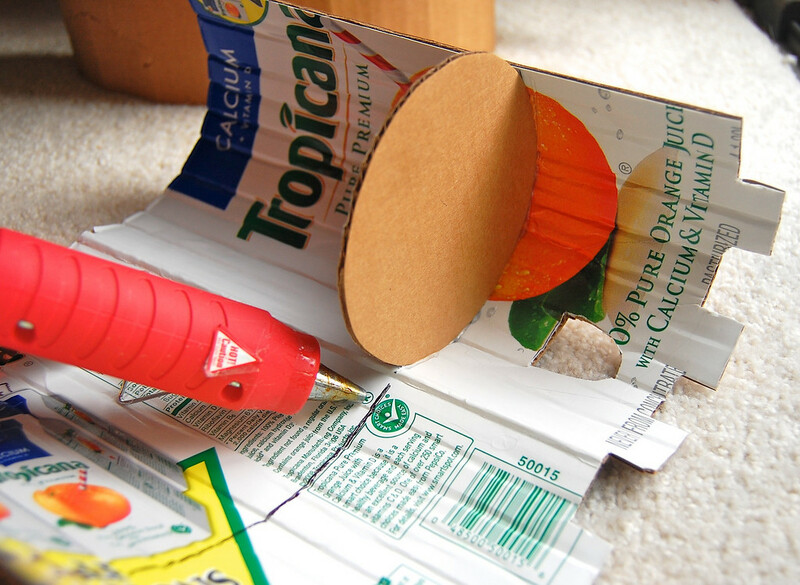 Roll the wall tightly around the edge of the circle so it makes good contact with the glue. 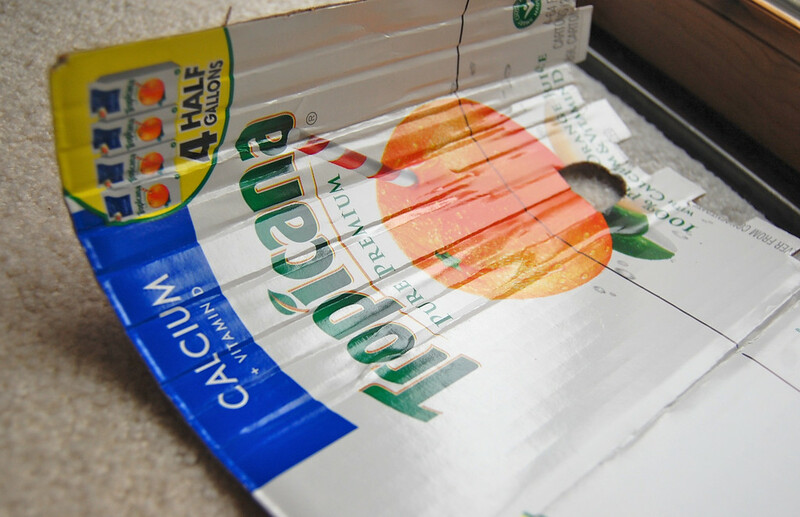 When you get to the other end, apply glue along the overlap bit, and press firmly to seal the seam. The floor should be firmly stuck in place like a high platform within the tower. Here's the finished tower. Easy! 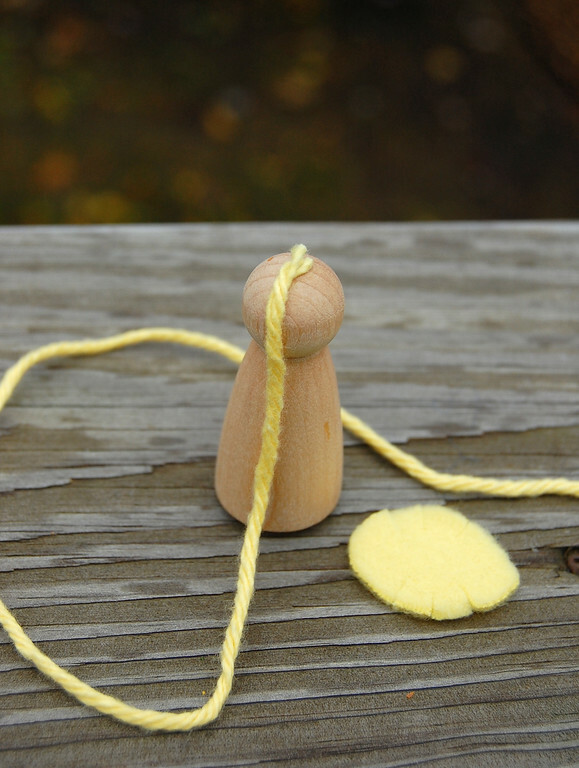 Cut a long piece of yarn or trim for her braid. Stick it on the top of the head with craft glue. 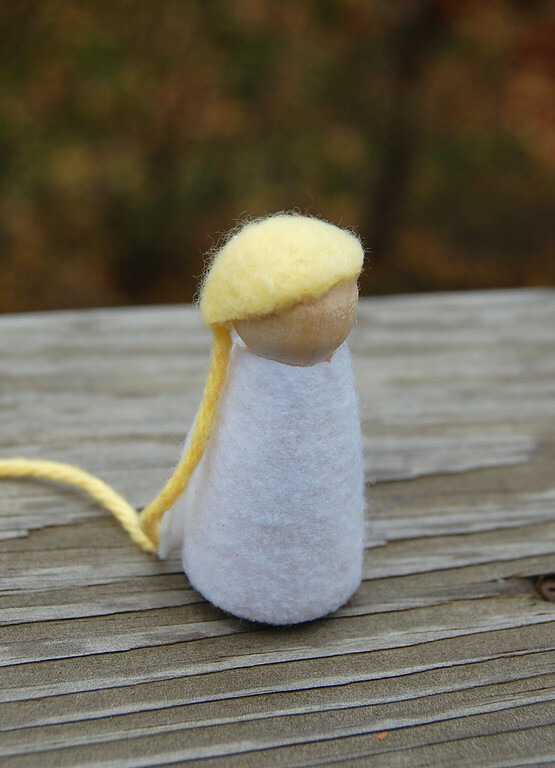 Also cut out a piece of fleece (or felt) for her hair. Mine was roughly a broad leaf shape, and I cut small slits in the sides to wrap around the round head more snugly. Glue the toupee hair on her head. 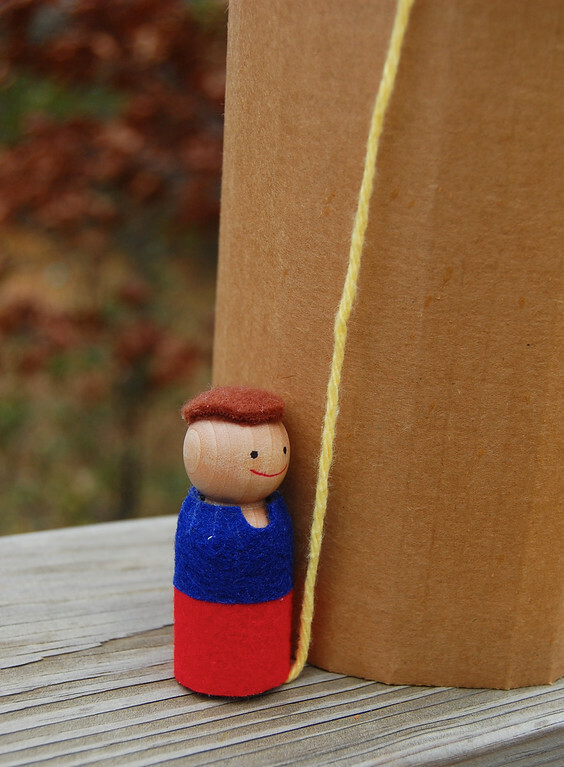 This is all I'm doing for the peg dolls for the party. 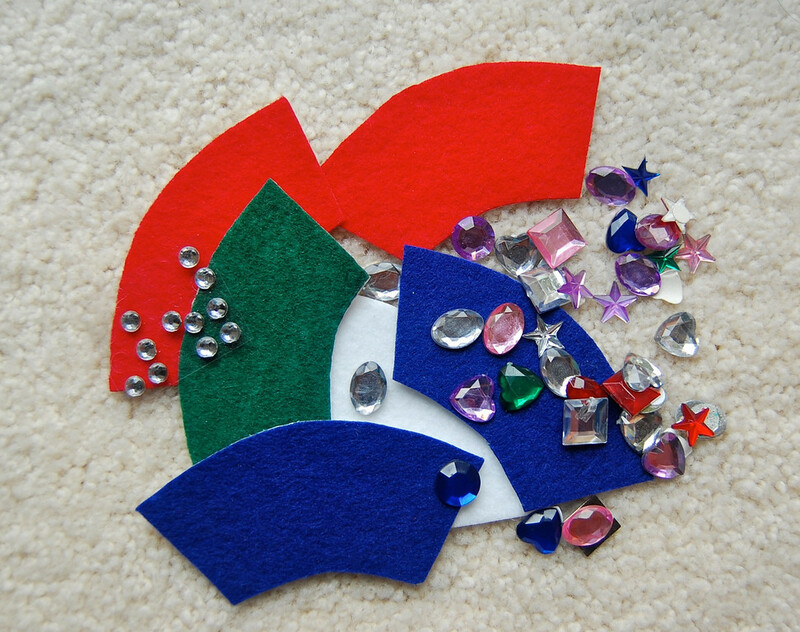 The kids will decorate their own Rapunzels with adhesive felt (buy these in sheets at craft stores) and self-adhesive gems and other felt stickons. 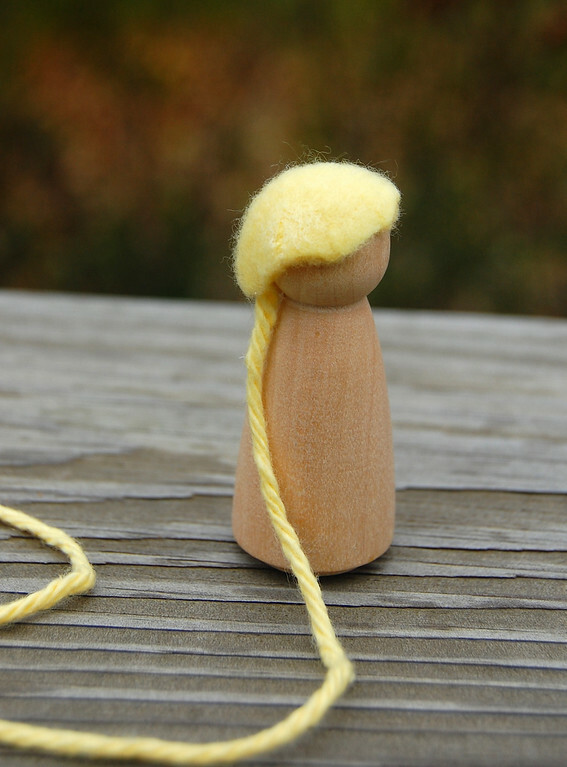 If the kids were older, I'd let them handle craft glue and make the entire doll, including the hair. And let them paint the dolls with acrylic paint. But these are 4-year-olds, and I think they'll manage better without the mess. So just stickers for them. 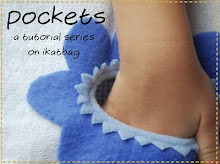 But for the sake of this tutorial, let's finish the doll, shall we? Stick adhesive felt around her body. Paint/draw on her face. We are going to use fine-tip permanent markers at the party. They bleed a little, but I don't think 4-year-olds are going to kick up a fuss about that. Embellish. Use trims, jewels, markers, whatever you like. We're sticking to only what's self-adhesive. 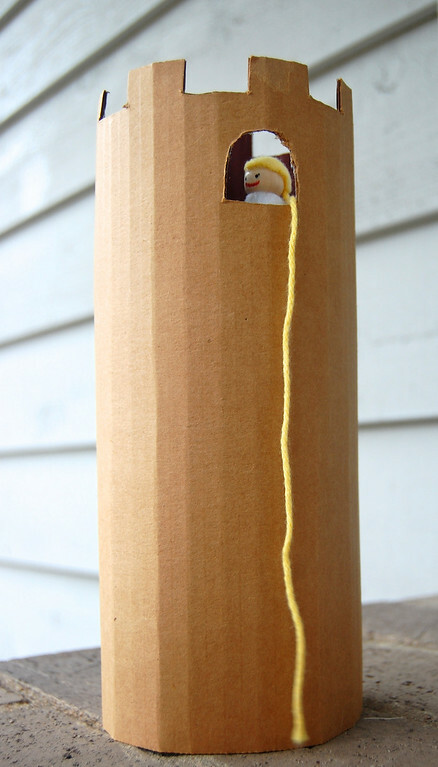 Put Rapunzel in her tower, yell at her to Let Her Hair Down, and let the kids take it away. Note: We're not providing Princes at the party. Emily wanted a Prince for her own story, so we made one - you can see him starring in the story at the beginning of this post. 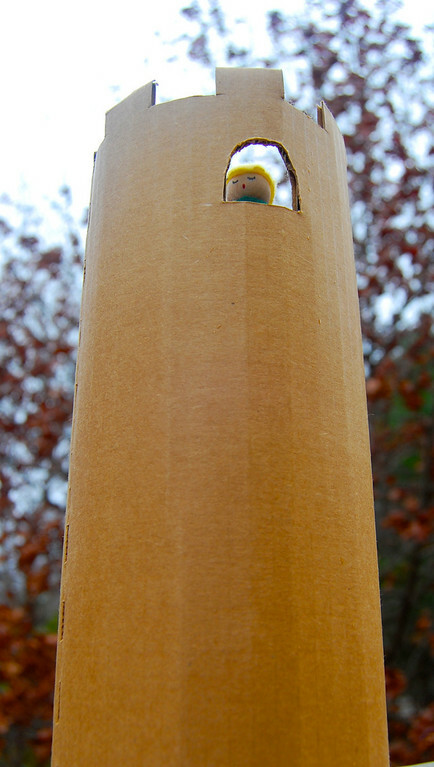 If you don't have peg dolls, use Playmobil. Or Legopeople. Or make your own small persons. Enjoy! Next up: Our Rapunzel fishing game with daft caricatures! Uma ideia espetacular! Adorei! quero fazer com os meus meninos. this cracks me up! You like cardboard the best??! I want to show this to my husband, who made models all through architecture school. 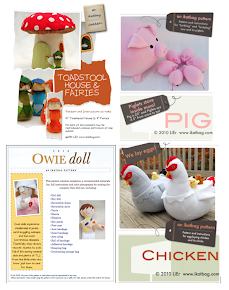 Love your blog and all the amazing tutorials - thank you! 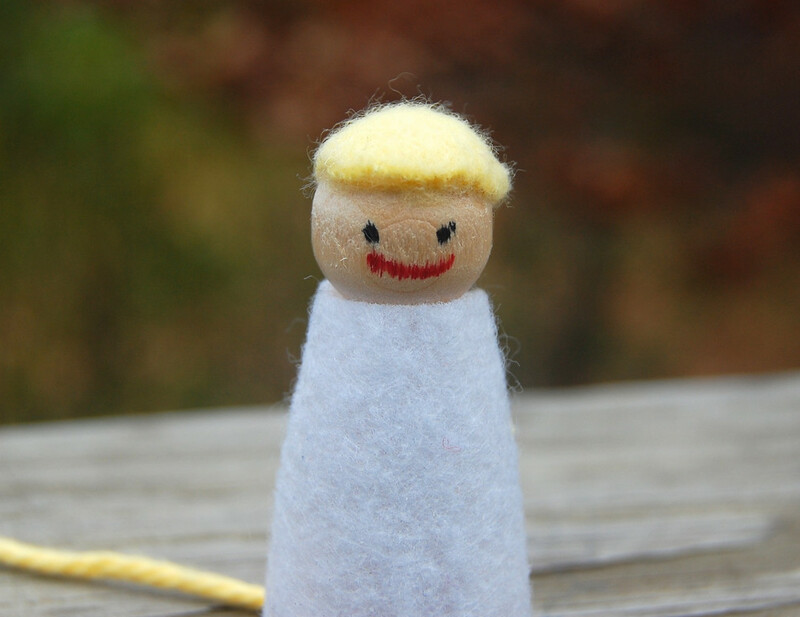 I'm so happy to share a tip with you...Fabric pens (the permanent ones) work really well for clothes pin doll faces because they don't bleed. Thanks again for all the goodness! I'm so happy to share a tip with you... Permanent fabric pens (the ones for drawing on shirts, etc.) work really well on clothes pin doll faces because they don't bleed. Thanks again for all the goodness. 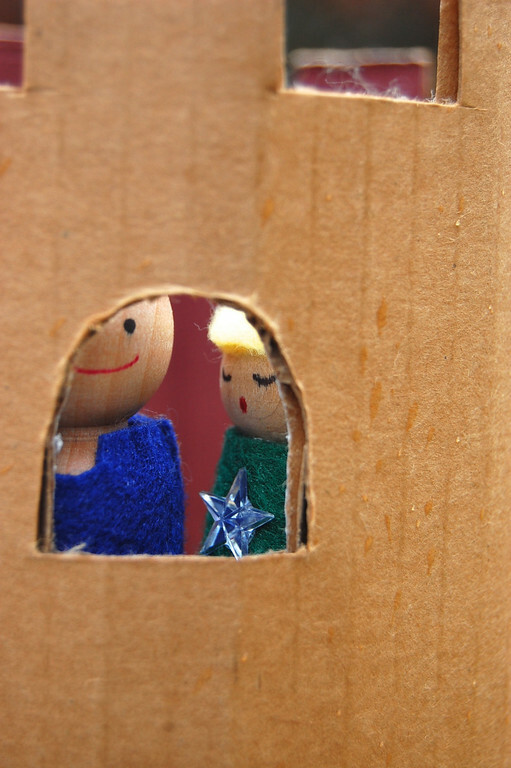 We love cardboard too- I think it's the number one medium in use around here these days. 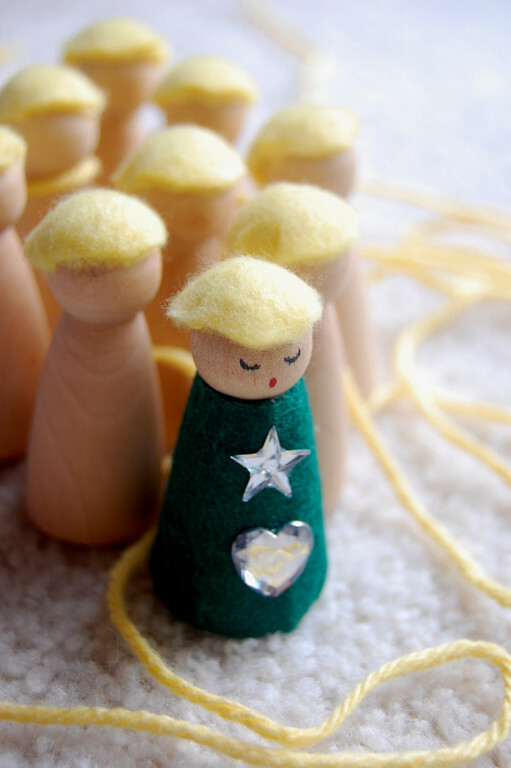 We have those peg people - I love how you decorated them! Great tutorial. Thanks, Lier! I used your tut to make little drummer boy drums.